When you break your OnePlus, you need the professionalism of Phone Ninja to fix your phone. 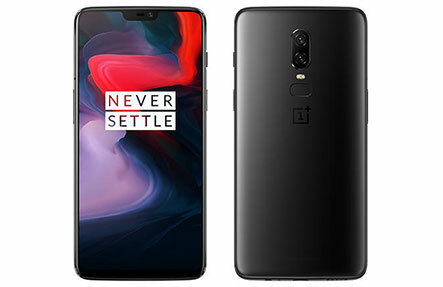 Having been in business since 2009 and having performed over 30,000 repairs in Perth, we know a thing or two about OnePlus Repairs. We have stores near you, no matter where you’re located in the Perth metro area. So whether you need an OnePlus screen replacement or any other repair, contact Phone Ninja today. Oh and we also offer data recovery services as well! Thinking about visiting other stores in Perth? Then think again, as you will not get the same high quality parts that deliver the same quality, feel and look as your device did when it was new. All our OnePlus Repairs also come with a full parts and labour warranty, not that you will have to use it as we will fix your phone right the first time! Also unlike other repair stores you should keep your data, so you shouldn’t have to restore your contacts, photos and other data. It doesn’t matter which of our stores you visit across Perth to have your One Plus repaired, we still offer the most affordable prices backed our Perth price-beat guarantee, find a cheaper price and we’ll match it. So get down to any of our Phone Ninja stores today to have your OnePlus repaired like new, or book/enquire online! Launched by a former Oppo vice-president in 2013, One Plus has gone from strength to strength. By 2017 they had generated 1.4 billion dollars in revenue making them one of the major mobile phone companies in the world. By 2018 they were selling their devices in 34 countries across the world including the OnePlus TV, though for the moment we repair only OnePlus phones. So for all your One Plus screen repairs and other problems, contact Phone Ninja today. Copyright 2014 Phone Ninja, All rights reserved. All other trademarks & copyrights are owned by their respective owners. We are an independent phone repairer and not affiliated with any manufacturer in anyway.